Kay, just wanted to say you are, quite possibly, the best thing in my life right now. The best person in my life right now and you are, without a doubt, the most fantastic friend I have ever had. It's a pleasure to know you and I can't begin to describe how happy I am that we met. Yeash~!! You're going to ace Fcat Writing tomorrow Fowlie! I really hate seeing you post in the VENT HERE thread so often. I don't read them, but they pop up more common than they really should. Life stinks at times and it's like moving through mud. It won't end and it's just agonizing. Didja like that message? Here's more . You are amazing, incredible, inspiring, cheerful, strong. You keep me up on my feet when I just want to collapse and give it all up because it's too much. Hypocracy is everywhere, you need to do the same. You're not alone, love. Both of you, plenty of people love you to death. And people who betray you, screw them. They have no idea what they're losing. I dedicate this to every single FGer. You are perfect. You are beautiful. 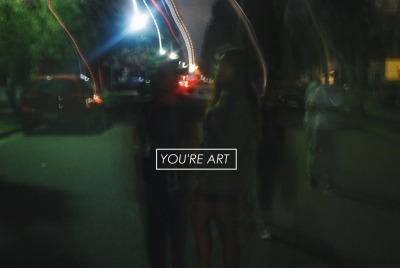 Don't let ANYBODY ever tell you otherwise. I don't like a lot of people. Because people are stupid. But you, person reading this, you wonderful, amazing, FGer, you, I don't hate you. You are fantastic, and perfect, and smart, and incredible. K12, you're truly someone I can always count on. You've always been willing to listen to me and my petty issues and put up with my assaults on your wall. I hope everything goes well with the doctor thing. Lady Minnie and HaTheAngel are the most wonderful ladies in the world. I'm a crazy Whovian, watch out! Minnie, you're going to be a wonderful big sister, and you're going to love your new baby brother! ^ Of course! She is the most wonderful lady in the world, after all. Though I should include Amy in that list too... Congratulations, Amy. You're on the list! You've always been a beautiful, sweet and amazing friend. You've always checked up on me when you see something's wrong, and always offer to talk about things and share things with me to help. You've always been reliable, you're always there to listen. You're a wonderful friend, amazing at supporting and I wanted to congratulate you on becoming a global mod.